First you will cover your wooden birdhouse with Faber Castell Design Memory Craft Gesso and let dry. Then color all over the birdhouse with Gelatos Double Scoop Silver Ice and Raspberry and Gelatos Color Blood Orange and Squid Ink. Adhere the black craft feathers to the roof and adhere the black trim. Now you're going to cover it all up! 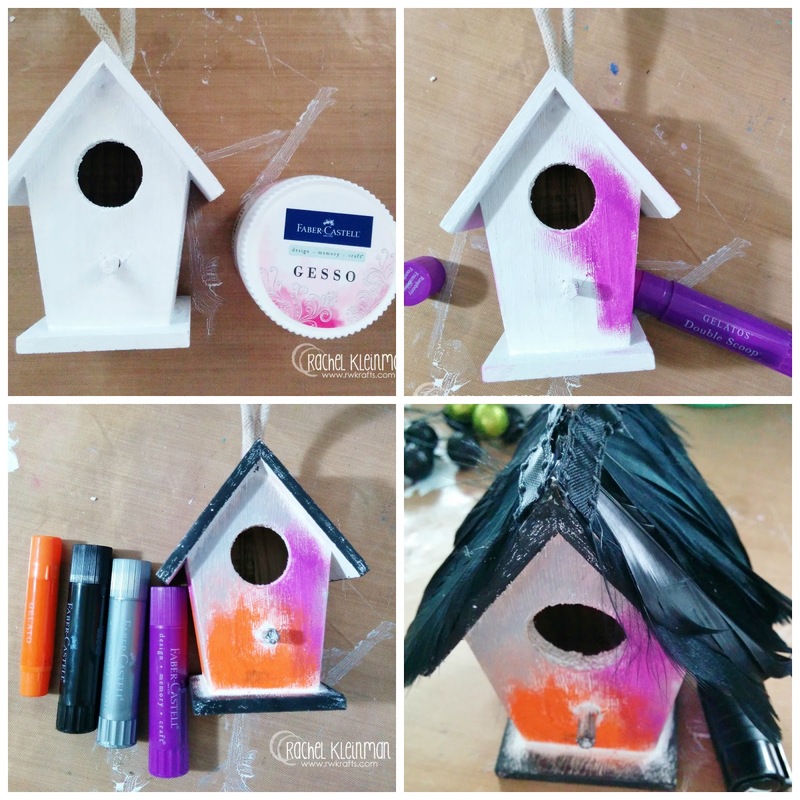 I promise your birdhouse will be ok :) Use Faber Castell Design Memory Craft Chalkboard Paint to coat the entire birdhouse (except the roof) and let it dry. Next you will add some great texture accents using a stencil and Faber Castell Design Memory Craft Whipped Spackle. I LOVE this stuff! It dries so fast and leaves so much detail to my project. Next, I added a spider web die cut to the house using Faber Castell Design Memory Craft Gel Medium. 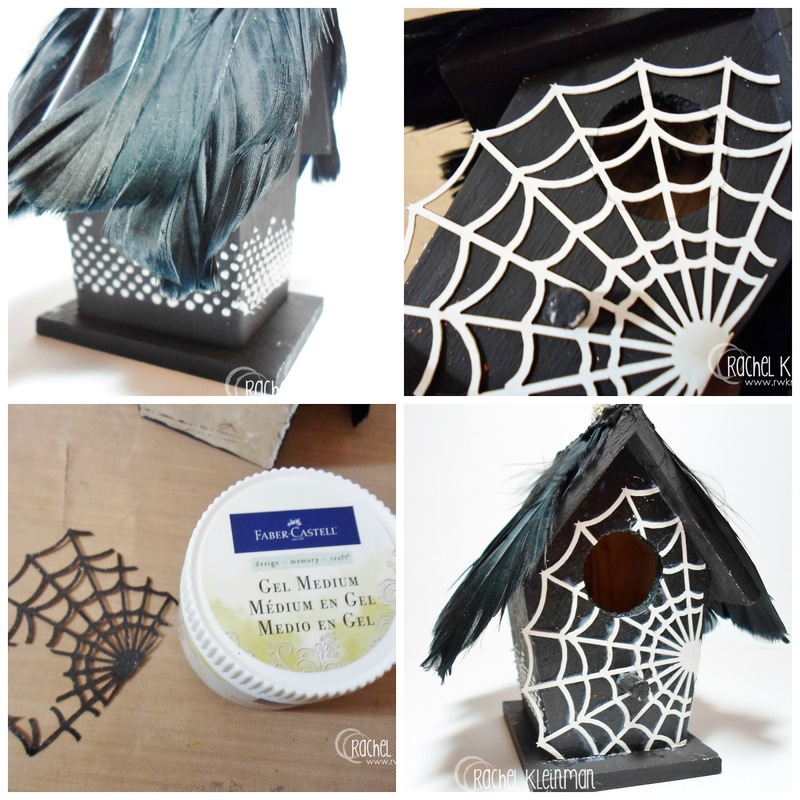 I applied the Gel to the birdhouse, put on the spider web, and applied another coat of Gel on top. This next step completely reminds me of my childhood. Did you ever scribble crayon all over a paper, then paint it black, and draw doodles on top to let the colors show through? I did... a lot! So we're doing that to the birdhouse. I used the side of my detail scissors to scrape off 'cracks' onto the sides of the birdhouse. Finally, it's time for the haunting details! I cut out images from DCWV "Eek-a-Boo" papers to finish off the birdhouse. Each cut image was shaded using a Stamper's Big Brush Pen and then I just smeared the ink with my finger and it's shaded! Confession... Stamper's Big Brush Pens are what got me addicted to Faber Castell Design Memory Craft! Once the ink dries, it is permanent and ain't goin nowhere! I mixed and matched my pens to go with my Gelatos. I used Stamper's Big Brush Pens in Cold Grey III, Violet, Black, and White. If you look closely at the image above you will find my favorite tip and trick of this entire project! Some of the cut images were adhered to the house with foam dots to add more dimension. I colored the sides of the foam with my Stamper's Big Brush Pen in Black so it would blend into the background of the house. Nobody needs to know they're even there! This is GORGEOUS Rachel! Wonderful project and I love your video!! This is the cutest thing! I have to make one! I loved the cute little pumpkin you made tonight. I will be trying it out on my next day off! I loved the pumpkin Jen made tonight too, will there be a blog post on it? cute pumpkin. will be trying this soon. Yes, I will have a blog post up as soon as I get my original pumpkin from school! LOL! Maybe they can include it when they announce the winner for the prize! Thanks again viewers! I bought several yards of canvas fabric to make "something" out of, not knowing what that "something" is. Now I do, thank to Jen! I'm making pumpkins! Thank you so much, Jen! I can't imagine better pumpkins. The Gelatos will make them very special. This is one cute Birdhouse and the Pumpkin that Jen made on Ustream is darling!! Design Memory Craft has such talented artist and crafters!! Thanks for sharing ya'lls gifts!! Just viewed the mixed media pumpkin video - wow! Love the Steampunk colors. I haven't used my gelatos very much - I will be soon. I believe I will be making several pumpkins and whatever my brain comes up with. I've never sleep tonight - too many ideas! I have a birdhouse I want to redo. Thanks for the inspiration. Thanks Jen for the u stream class. Love the little pumpkin and can't wait to see the bigger one. The little pumpkin was cute tonight. I hope that this is the place to leave a comment as it is not too clear as to what section. Loved the U-stream tutorial tonight - cant wait to try to make a pumpkin myself! Love this birdhouse too! Really enjoyed Jen's Mixed Media Pumpkin U-Stream tonight. I've never tried my gelatos on fabric before, but I'll definitely be making some of these pumpkins. The Steampunk colors that she used are great. I hope this is the right place to leave the comment. 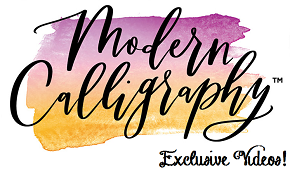 WOW - this is WONDERFUL! I have a birdhouse todo - lets pull those materials together and get making magic! This is the cutest thing EVER!